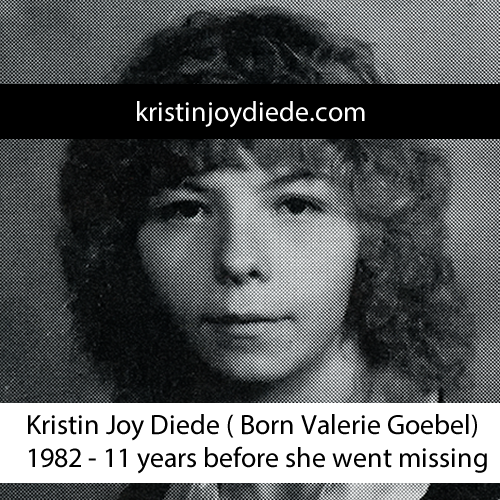 In a previous post, we expressed interest in getting in touch with any friends of Kristin Diede’s from during her time in Bloomington, Minnesota, in particular a woman named Heather. Last night we finally received the phone call we have been waiting for and were able to speak to not just Heather, but also an additional friend and neighbor of Kristins and who reported Kristin as missing. We will be interviewing these individuals soon, both of whom have explicit memories of Kristin’s disappearance. Check back soon for interviews. Previous Previous post: Solve a murder this Christmas! Next Next post: See Rare TV NEWS COVERAGE!